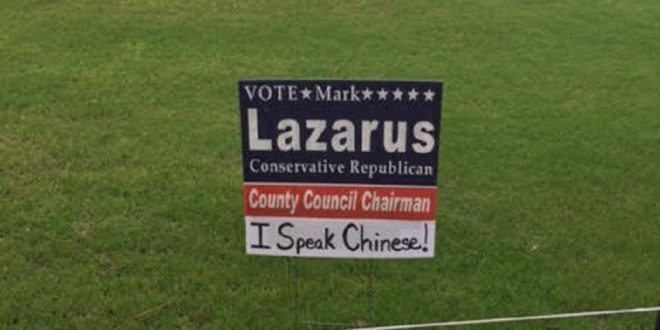 A campaign sign for Mark Lazarus was found vandalized on the fairway of Pine Lakes Golf Course today. Lazarus is running for re-election in the Horry County Council Chairman’s race. His opponent is Johnny Gardner. The election will be held June 12th. The sign was altered to read, I Speak Chinese. The golf course, Pine Lakes, is located on the coast in the heart of downtown Myrtle Beach. The course was sold, along with other courses, in what the Sun News later called a shady Chinese ponzi scheme. The course was purchased in May of 2015. 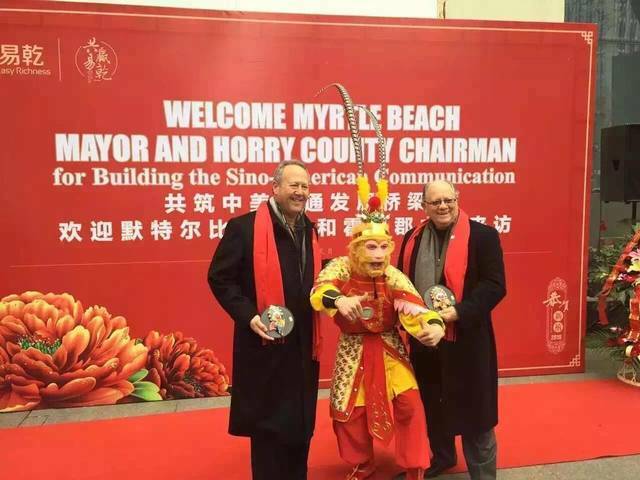 Weeks later, Dan Liu of Yiqian Funding, was married on the golf course with establishment members of the Myrtle Beach Area Chamber of Commerce and local elected officials in attendance. When the deal later raised questions, Chinese Investors Turned out in mass on the streets in China demanding refunds. 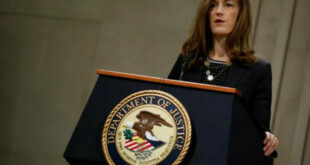 The seller’s lawyer for the Chinese purchase was Shep Guyton. 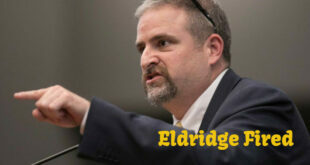 Guyton has a long history with Myrtle Beach Area Chamber of Commerce insiders. The seller’s agent was Dean Karavan. 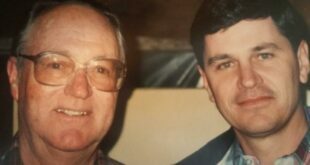 Both Karavan and Guyton have been business associates with Lazarus over the past decades. Many Pine Lakes residents continue to be upset about the golf course’s change in ownership. 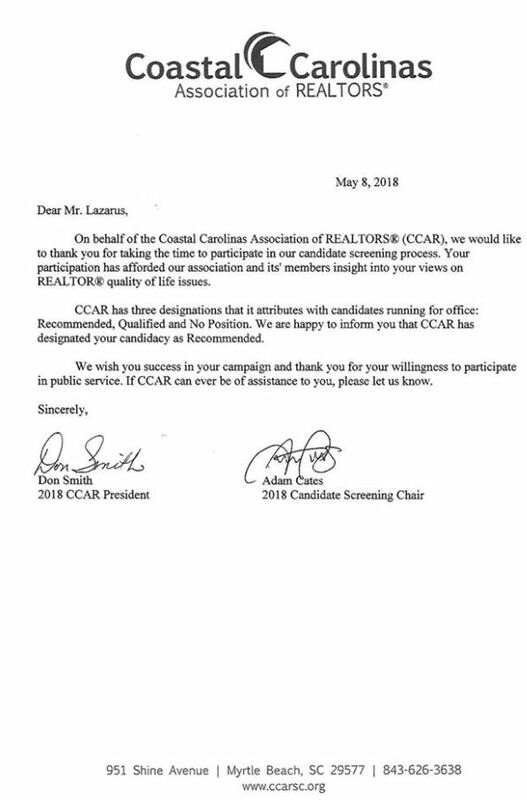 The timing of the event came on a day when the Coastal Carolina Association of Realtors endorsed Chairman Lazarus. The Coastal Carolina Association of Realtors is known for their close ties to the Myrtle Beach Area Chamber of Commerce and the Grand Strand Business Alliance.